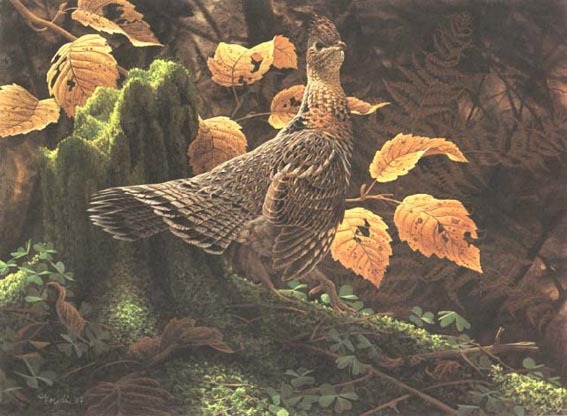 Jean-Luc Grondin Presents "Ruffed Grouse"
"Gélinotte Huppée / Ruffed Grouse"
Limited Edition on paper signed by the artist. Image size: 9" x 6-1/2"
Publisher Sold Out - We have a few available at issue price. with a gold-plated medallion of the image.